Almost done! 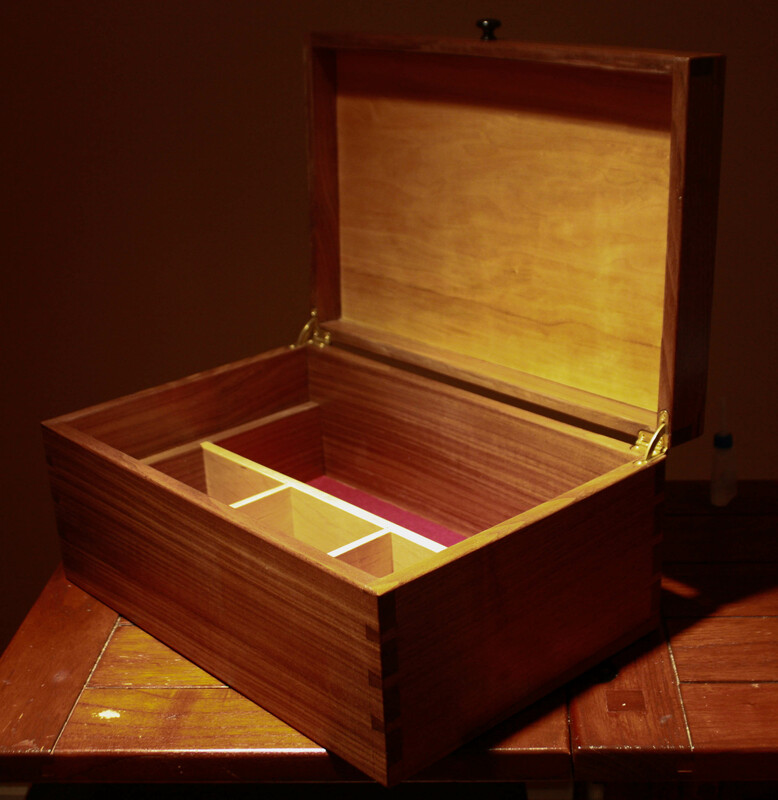 I still need to make the inside sliding compartment and rub out the finish but here it is. 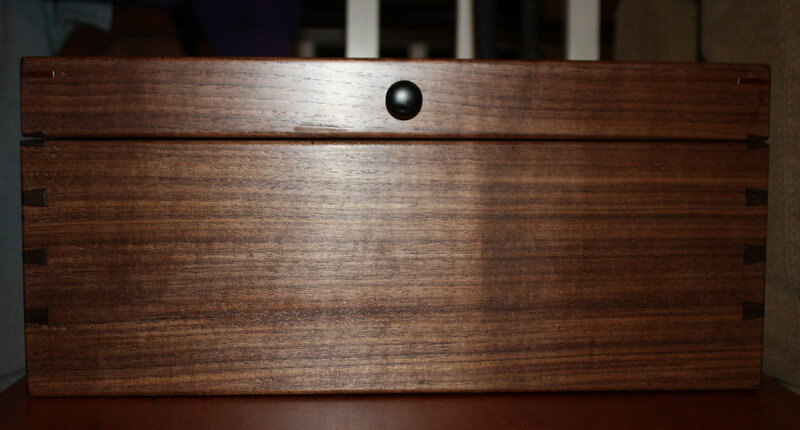 This entry was posted in jewelry box and tagged jewerly box, keepsake box. Bookmark the permalink. This is very nice, Marilyn. well, we all do, what we need to do. Happy trails. Gorgeous work! 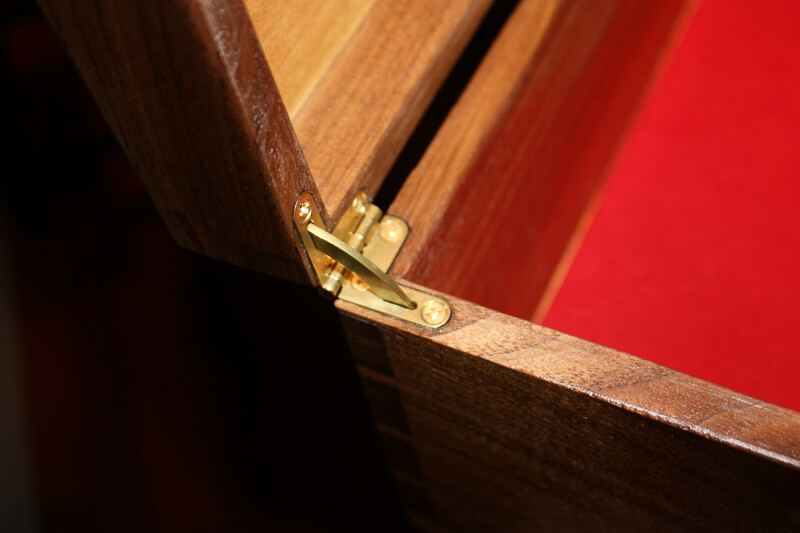 Love the dovetailing! Thanks! 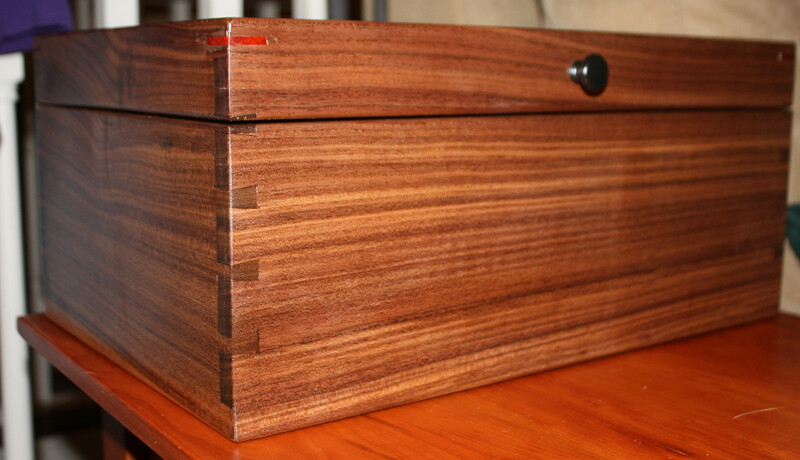 Not everyone likes exposed joinery, but I think it adds interest to the piece. Looks really good. 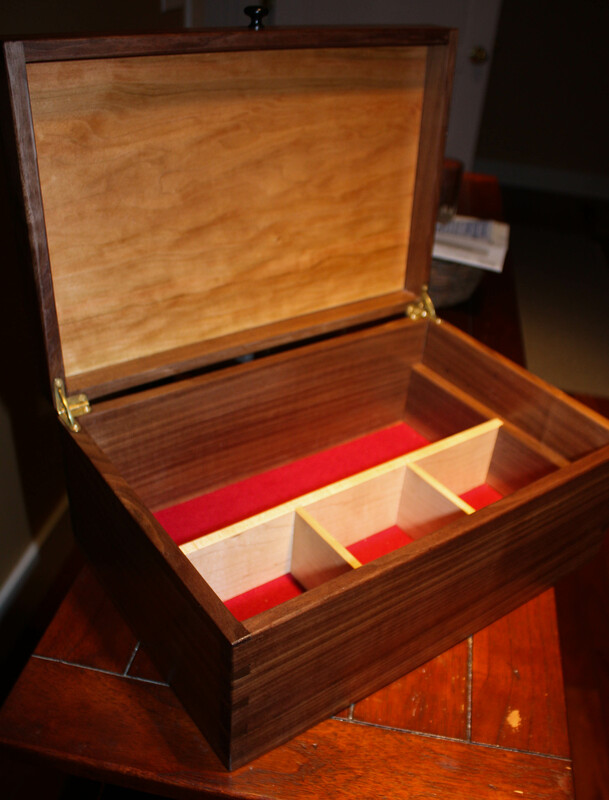 Like you, I’m very much in favour of exposed joinery, especially when the dovetails are as clean as yours. I do like exposed joinery. This is a wonderful box. Well done!